Carly Behm | The Phoenix Loyola fans united around the world to watch the Ramblers defeat Nevada 69-68 to advance to the Elite Eight. 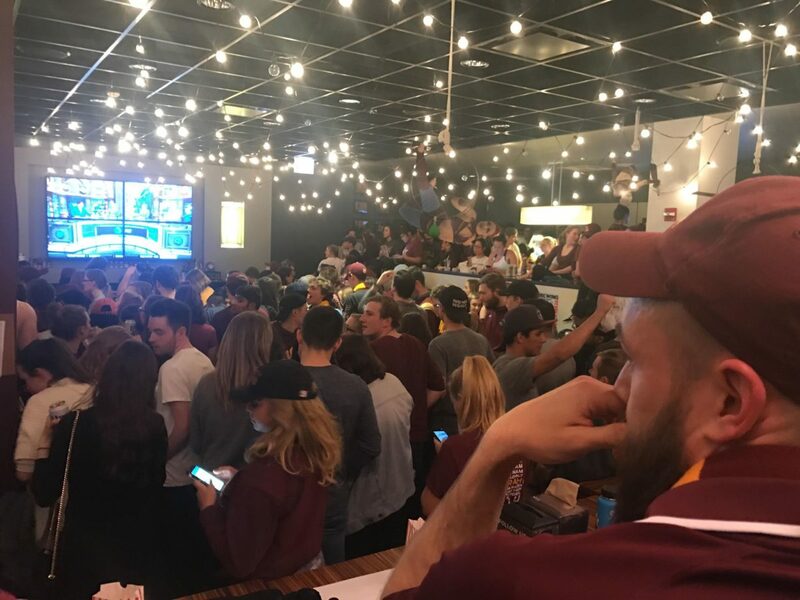 Jane Miller | The Phoenix Loyola fans united at watch parties around the world to watch the Ramblers defeat Nevada 69-68 to advance to the Elite Eight. 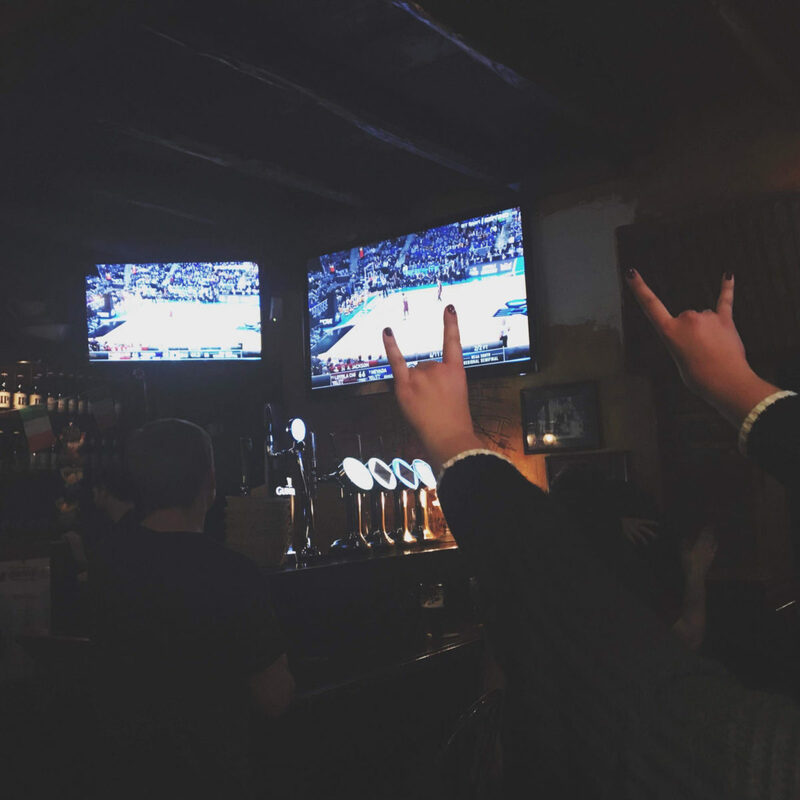 Michael McDevitt | The Phoenix Loyola fans united at watch parties around the world to watch the Ramblers defeat Nevada 69-68 to advance to the Elite Eight. 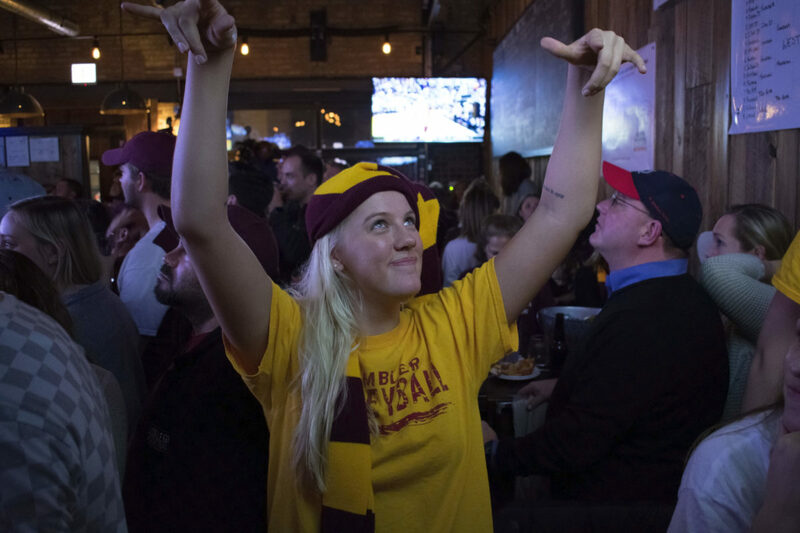 Jamilyn Hiskes | The Phoenix Loyola fans united all over the world to watch the Ramblers defeat Nevada 69-68 to advance to the Elite Eight. 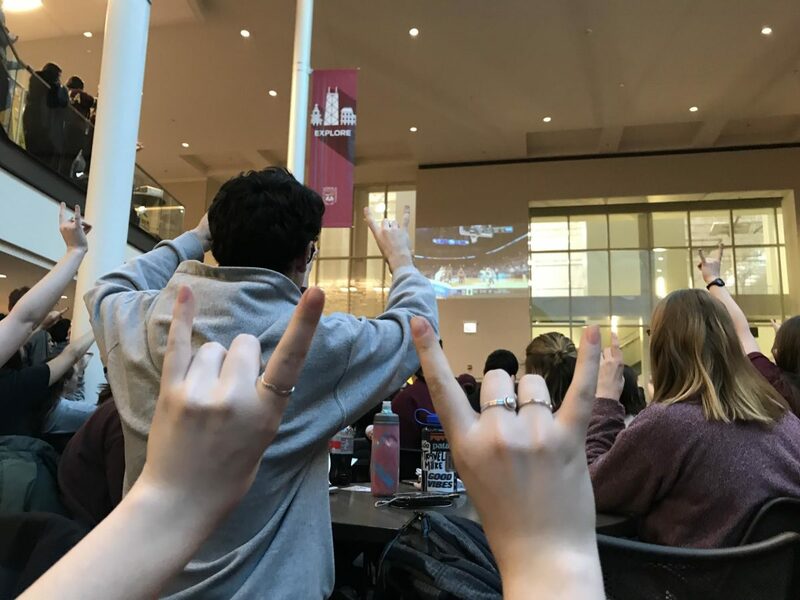 Carly Behm | The Phoenix Loyola fans united at watch parties around the world to watch the Ramblers defeat Nevada 69-68 to advance to the Elite Eight. 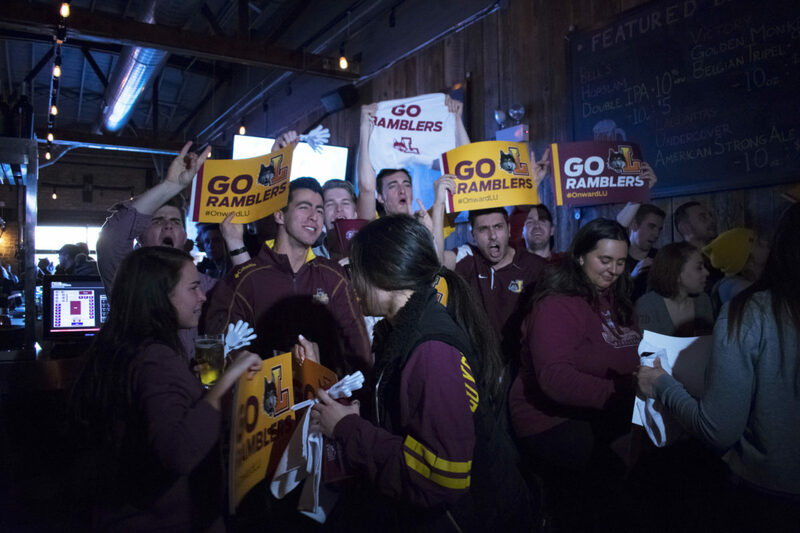 Jamilyn Hiskes | The Phoenix Loyola fans united at watch parties around the world to watch the Ramblers defeat Nevada 69-68 to advance to the Elite Eight. 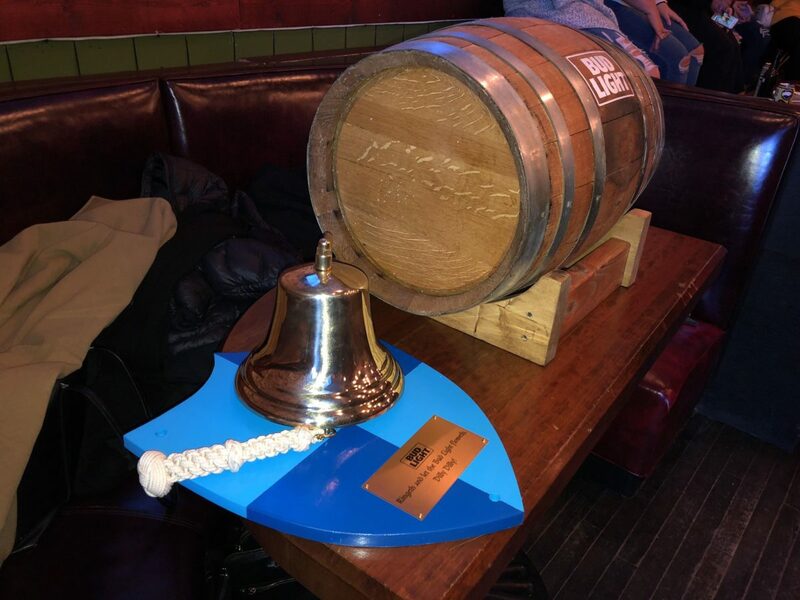 Courtesy of Ola Wysocki Loyola fans united at watch parties around the world to watch the Ramblers defeat Nevada 69-68 to advance to the Elite Eight. Ariana Allen | The Phoenix Loyola fans united at watch parties around the world to watch the Ramblers defeat Nevada 69-68 to advance to the Elite Eight. 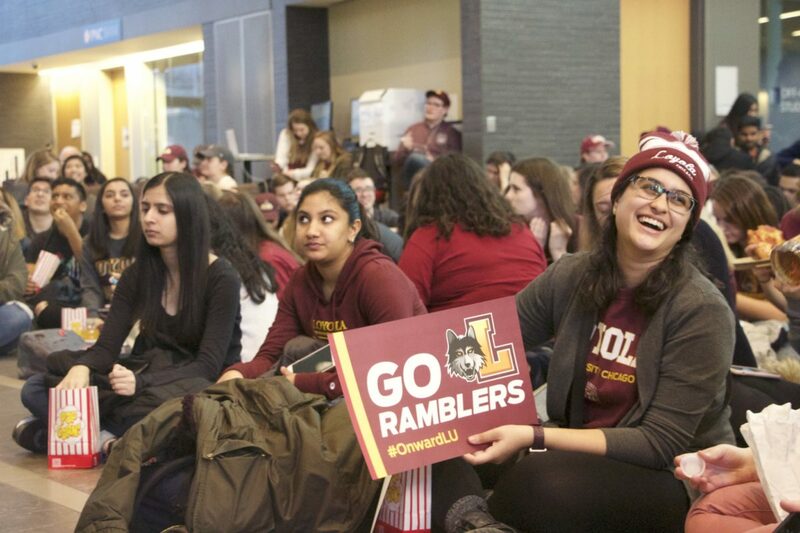 As the Loyola men’s basketball team won yet another game by just one point to advance to the Elite Eight in the NCAA tournament, loyal Rambler fans were glued to televisions around the world to watch the Ramblers take on — and defeat — the Nevada Wolf Pack 69-68. 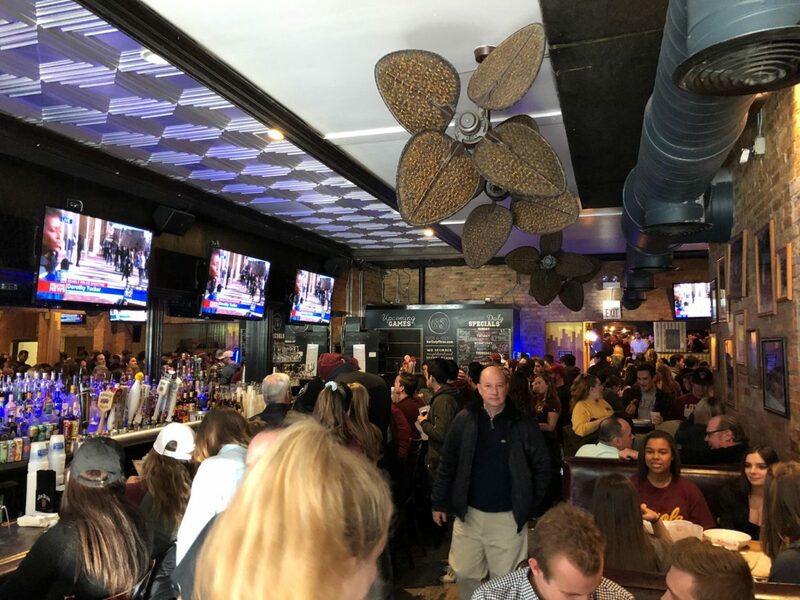 In Rogers Park, Bulldog Ale House and Damen Student Center hosted watch parties for students, alumni, Rogers Park residents and other fans. Both venues were packed wall-to-wall with fans and the energy around campus was electric, some fans said. In Ireland’s Pub 10, the on-campus pub named for 1963 men’s basketball coach George Ireland, it was standing room only. Several hundred fans packed in and kept their eyes glued on the game throughout the basement bar on the various television screens. Senior Nicole Calaustro donned her Rambler gear and watched the game with her friends embedded in the middle of the Ireland’s crowd. She said she’s been a longtime Rambler fan long before March Madness. “This atmosphere at Loyola is like something we’ve never seen before,” Calaustro, a 21-year-old exercise science major said. Lindsay Jenkins, a first-year undeclared major, said she was drawn to Damen Student Center because of the atmosphere. Lucy Lang, a first-year nursing student, said she liked the community of Ramblers in Damen. “I wanted to watch [the game] with all my fellow Ramblers, and I’m feeling really good about it,” Lang said. 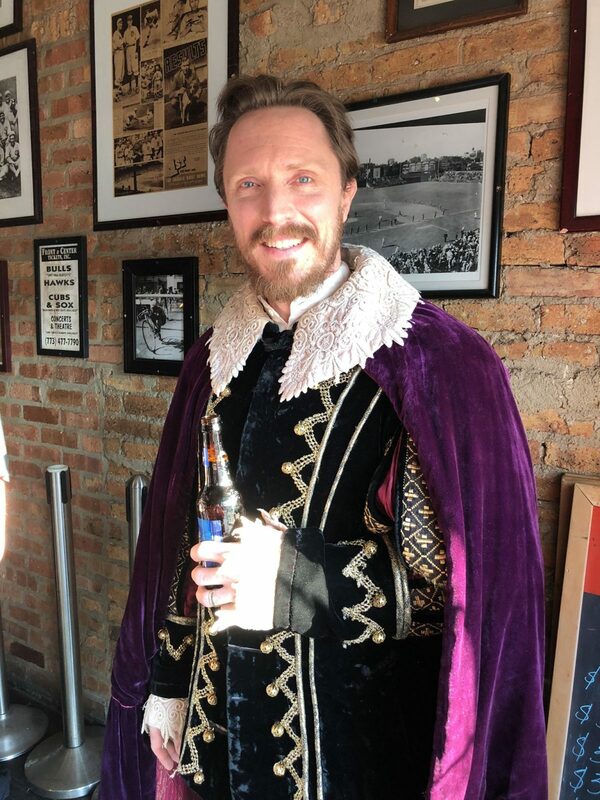 Fans watching the game at Bar 63 were greeted by a Bud Light promotion inspired by the company’s well-known “Dilly Dilly” commercial campaign. Down the street at Bulldog Ale House, Maureen Hartigan, 54, watched the game with a personal connection in mind. Hartigan said she has been a loyal fan for ages because her father played for the team in the 1930s. After the historic victory, the city lit up with Rambler pride — literally. Downtown, the Willis Tower displayed maroon and gold lights to honor the Ramblers. But Rambler fans aren’t just limited to Chicago. 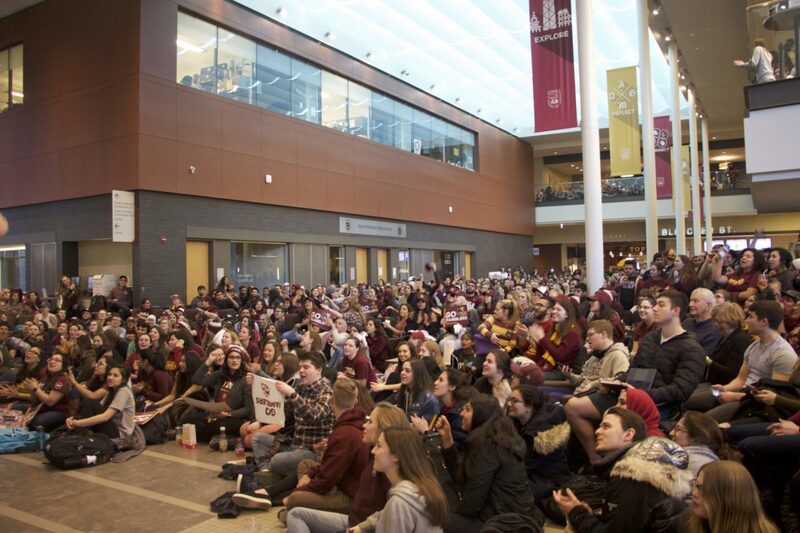 Students at Loyola’s campuses overseas gathered in support of their team back home. 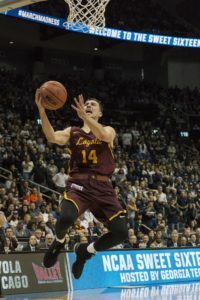 On Loyola’s campus in Vietnam, Andrew McAllister, a sophomore political science major, said he’s been following the team since it won the Missouri Valley Conference tournament. McAllister, 19, said it’s been difficult to watch the games live because of the 12-hour time difference between Vietnam and Chicago, but students have been following the team on social media. McAllister also said the team’s success has ignited camaraderie on campus. 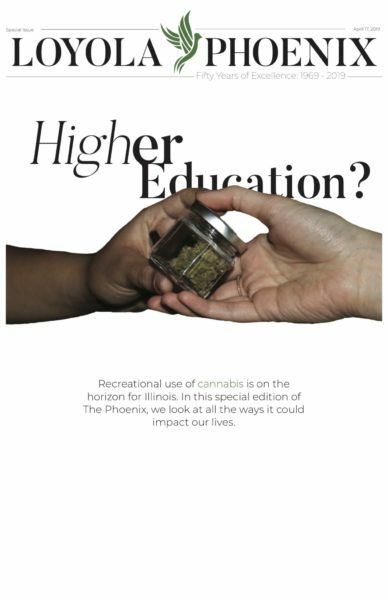 “It’s been cool, too, that our professors and Vietnamese partner students have been talking to us about the team,” McAllister said. At the John Felice Rome Center, students have been able to connect while following the Ramblers, Ola Wysocki said. Wysocki graduated from Loyola in 2017 and is now working as a student life assistant on the Rome campus.